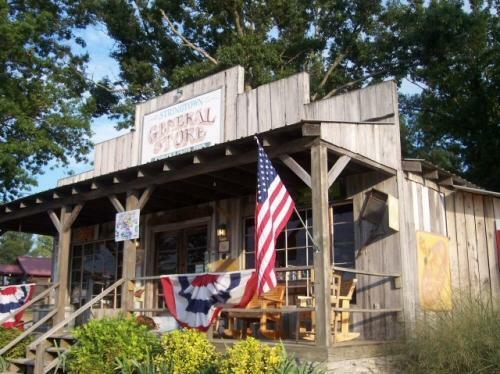 SHOPPING: Lebanon is nicknamed "The Antique City of the South" with over 20 antique stores in the county to include Mt. Juliet and Watertown. Although Lebanon is known for the antique stores, it is home to many local boutiques. Many are located on the Historic Square in Downtown Lebanon with more around the city. 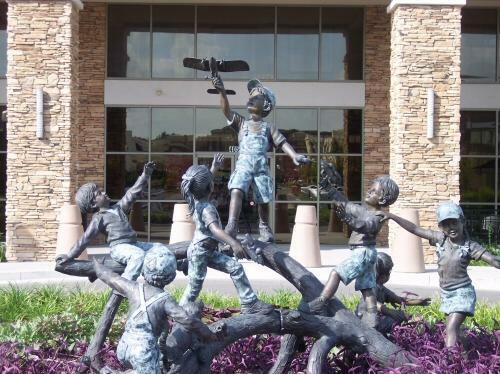 There is also an outlet mall, Lebanon Outlet Marketplace, that has over 60 name brand stores. Parkland Flea Market and Shopper's Alley are two flea markets that are open on weekends. The area also has many retail stores, grocery stores, convenience stores, etc. Also the Mill at Lebanon has many stores including coffee shops, boutiques, salons, and more! 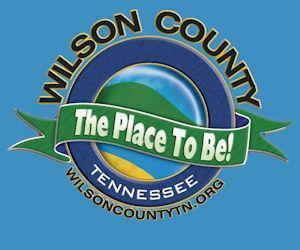 RECREATION: Wilson County has 2 state parks for swimming, hiking, horseback riding, picnicking, camping, fishing, etc. and 3 local parks for walking or picnicking. If you want to play racket ball, workout, swim, or do some indoor walking, then the Jimmy Floyd Family Center is where you'll want to spend some time. Wilson County's newest attraction is The Wilson County Expo Center at James E. Ward Ag Center. WILSON COUNTY EXPO CENTER: The Wilson County Exposition Center is located minutes from Nashville’s International Airport and is the ideal setting for experiencing Wilson County’s welcoming and rejuvenating energy. Full of sunlight and natural wood elements, with state-of-the-art audio-visual, voice, and data technology and diverse functionality, the Exposition Center’s modern design references Wilson County’s distinctly American heritage. The center features a broad array of services perfectly suited to conferences, trade shows, and sporting and entertainment events as well as amenities certain to make any event a perennial guest favorite. The Exposition Center features more than 78,000 square feet of flexible space, including 45,000 square feet of main exhibit space and two large multi-purpose rooms that can subdivided into four breakout rooms. Visit www.wilsoncountyexpo.com for more information. ATTRACTIONS: Wilson County is very rich in history. There is a historic village at the fairgrounds called "Fiddler's Grove". There are over 30 restored and/or replicated buildings in the Grove. Many local families have donated buildings and items to preserve the history of the area. A guided tour will be available. There is a World War II Museum in the Grove as well. Lebanon has a beautiful new museum located in the City Hall building which is a renovated building sitting on the former Castle Heights Military Academy that closed in 1986. The campus has been restored to it's original beauty. One of the buildings now serves as a very popular "Sammy B's" where one can eat a variety of tasty foods. Lebanon also has the Fessenden House, which is an old home full of antiques and history. This home and all of the items were donated by local families. Cumberland University is also located in Lebanon. The original college was founded in 1842, but the present site was established in 1896. World War II maneuvers were held at this location as well as other locations in Wilson County. Mt. Juliet is located in west Wilson and was formed in 1835, incorporated in 1973. Mt. Juliet is known as the Purple Martin Capitol of Tennessee and is the home of Charlie Daniels and Tracy Lawrence. Watertown is a 15 minute drive from Lebanon and is a very historical town, settled in 1797. It is a small town and a great place to visit for a quaint afternoon of antique shopping and good country dining. Watertown hosts several Excursion Trains per year as well as the popular "Mile Long" yard sale two times per year. DINING: There are too many places to list for dining in Wilson County. There is cuisine to suit any taste buds, from fast food to elegant. There are also some wonderful caterers to cater any banquets or parties during your stay. OVERNIGHT ACCOMMODATIONS: Wilson County has over 1600 hotel rooms, several camp grounds, and bed and breakfasts as well. Call the Convention and Visitor's Bureau for a complete list. NEARBY ATTRACTIONS: The Grand Ole Opry is a 25 minute drive from Lebanon, group rates and transportation by bus are available. Also available is a "downtown tour" of Nashville where a step-on guide will inform you of many areas of interest in the Nashville area. The Ryman Auditorium has a self-guided tour as well as Bluegrass shows on Thursdays. If "cruisin" the Cumberland River sounds enticing, then board the General Jackson for an afternoon of entertainment and food. The Country Music Hall of fame is open for the community! This attraction is guaranteed to make you glad you visited. Also Nashville is home to Bridgstone Arena which was nominated for Arena of the Year in 2016 by Pollstar Magazine.